At Hydro One, we understand the challenge of finding tasty sugar free drinks for diabetics. That’s why we’ve developed great tasting and healthy drinks that help address dietary needs. Our REVd Blueberry & Pomegranate and our REVd Pineapple & Mango are all-natural, sugar free, and filled with nutrients, and they are ideal for diabetics looking for a healthful and delicious drink. Diabetes results from the body’s inability to produce insulin because of high glucose levels, often as a result of an unhealthy diet. There are millions of people in this country with some form of diabetes, and many people are not even aware that they have the disease. 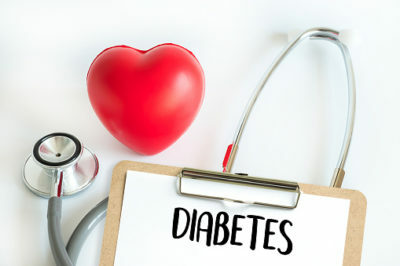 Most cases of diabetes are preventable or can be managed with a diet focused on reducing sugars. Hydro One’s REVd Blueberry & Pomegranate and our REVd Pineapple & Mango were designed by our team of doctors and scientists, with help from an established professional athlete, to provide a sugar free alternative to most vitamin drinks. They are all-natural, low calorie and sugar free drinks for diabetics or for anyone looking to reduce sugar intake. They’re made with Cinnulin PF, a highly purified form of cinnamon extract that is proven safe for managing diabetes symptoms. Best of all, REVd beverages have zero fat grams and zero carbohydrates, all while providing nutrients and vitamins in a great tasting drink. Or try our TRÜE Sugar-Free Green Tea. Our green tea is also all-natural and contains plant sterols and cognitive enhancer agents, nutrients that can help you lower cholesterol, maintain your heart health, boost brain function and manage weight. All in a delicious, sugar free beverage. At Hydro One, our mission is offering great tasting drinks that help people meet their essential dietary needs. If you’re searching for healthy and sugar free drinks for diabetics, try our REVd or our TRÜE Green Tea. You’ll see that great health can still include great taste!